Shop for wholesale drums, flutes, and rattles. 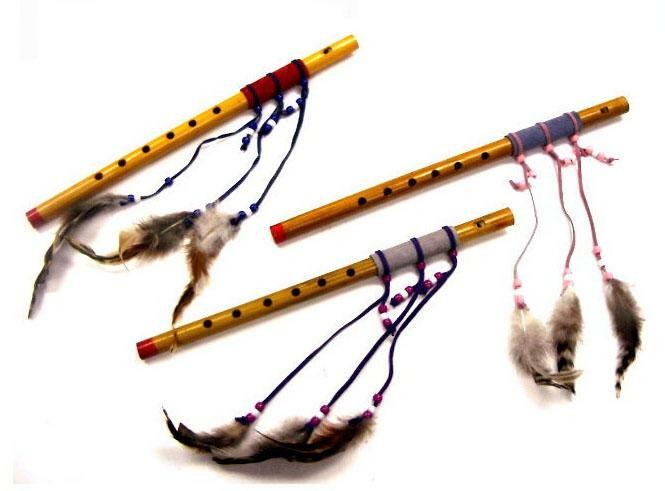 This functional wood flute is approximately 14" (35.56 cm) long and is decorated with real leather, beads, and feathers. Assorted leather and bead colors, pulled at random.